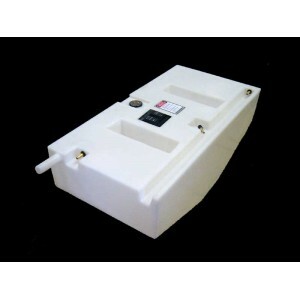 Sant Marine manufactures a range of fuel tanks to suit a variety of popular boat models. 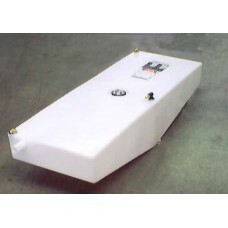 Tanks are manufactured from durable polyethylene and are rated for use with diesel or petrol including ethanol. 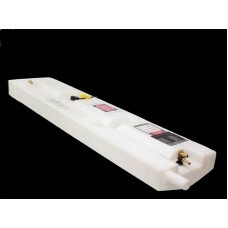 All tanks are pressure tested under 33CFR 183.510(a) and conform to ISO 10088. 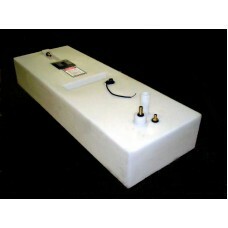 Tanks are fitted with a 30-240OHM rated Fuel Sender and include Fuel Pick Up and Breather Fittings shown. 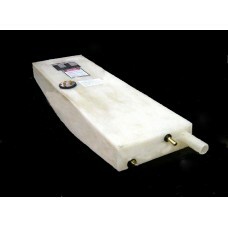 Most tanks are moulded with internal baffles to stabilise the fuel during motion. 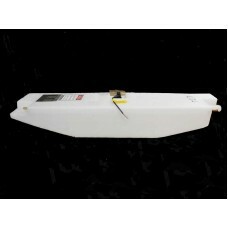 The Fuel Sender when connected to a calibrated gauge, provides an indication of the fuel level in the tank. 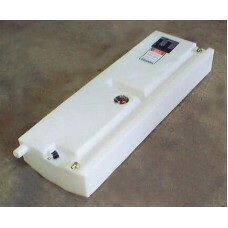 It should never be relied upon to determine the quantity of fuel left in the tank. 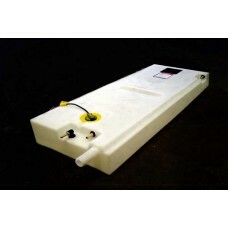 This is especially the case in “V” shaped tanks where the capacity of the bottom half of the tank is substantially less than that of the top half. For details of Sant Marine Fitting Guidelines Click Here. 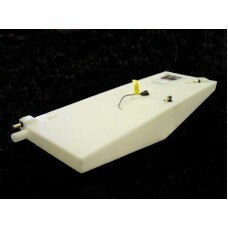 For details of Sant Marine Limited Warranty Click Here. 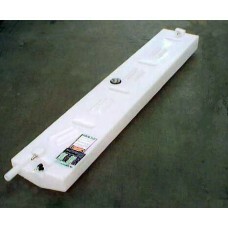 The range of available polyethylene tanks is limited to that shown on this website and modifications are not possible. 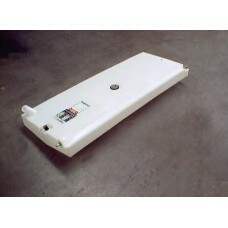 However, Custom Aluminium/Stainless Steel Tanks are available (Victoria, Australia Customers Only). 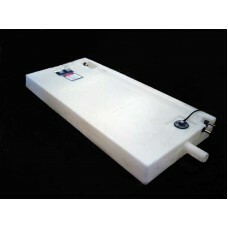 All tanks may be subject to manufacturing lead time. 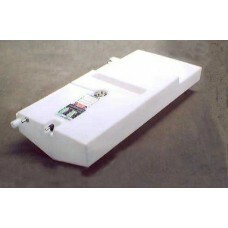 Online Purchase of Fuel Tanks is not available. 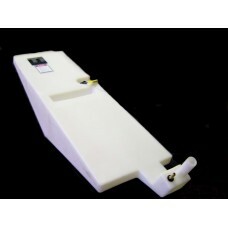 For Fuel Tank enquiries select a tank below and press "MAKE AN ENQUIRY"
Click Here for Dimensions This product is not available for online purchase. Enquiries:: sale..
Click Here for Dimensions This product is not available for online purchase. Enquiries: sales@santm..
Click Here for Dimensions This product is not available for online purchase. Enquiries: sales@.. This product is not available for online purchase. 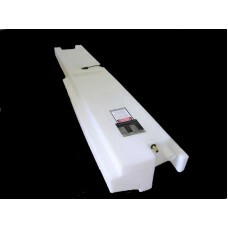 Enquiries: sales@santmarine.com.au..
Click Here for Dimensions This product is not available for online purchase. Enquiries: ..